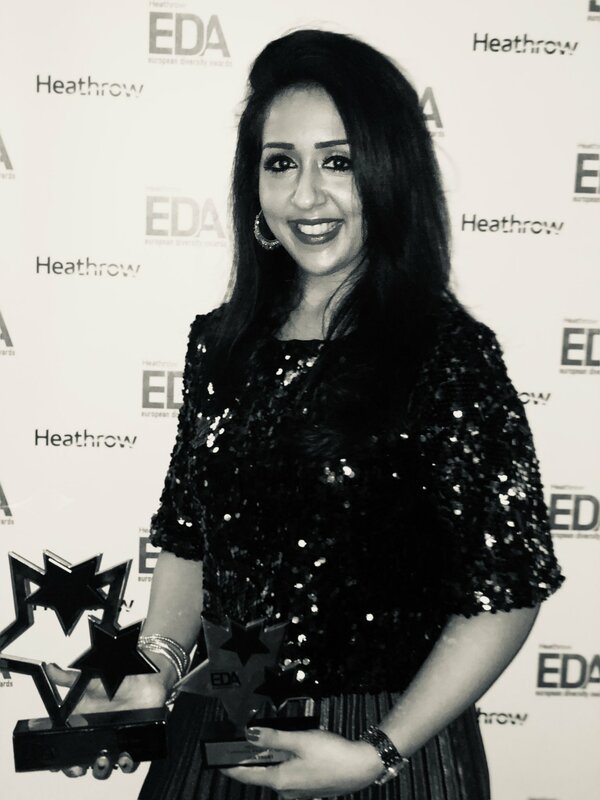 On Thursday night, I attended the Heathrow Airport’s European Diversity Awards 2018 awards ceremony where JAN Trust and I were both nominated in the categories of ‘Community Project of the Year’ and ‘Campaigner of the Year’. I want to thank all the staff, teachers, volunteers and trustees for their commitment to improving the lives of vulnerable women and creating safer and stronger communities. I also want to extend a sincere thank you to the European Diversity Awards for valuing our work – we stand together in creating a diverse society, that is accepting of all and free from hatred. Find out more about Sajda’s journey here.